I am 16, and I have no musical talents, but I have always loved the violin, I have enough money to buy the instrument, but there is no way for me to afford lessons. I would be dedicated to learning the violin. How long would it take for me to learn the violin by teaching myself? Is it possible? When you buy the violin, does it come with the bow? If not how expensive is it? 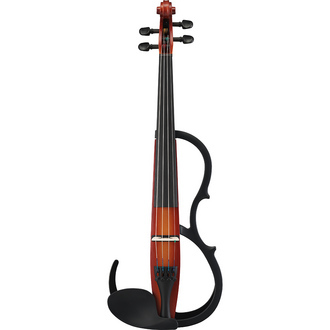 Also I love the cello as well, I understand they are more expensive than a violin, it has been hard to make the decision between the violin and the cello, any suggestions are welcome! P.S. I don't have much privacy to play in my home, is there a way to not drive my family members crazy with the sound? As a long-time violin player, I'd have to agree with @Carl and say it is incredibly hard to start without a teacher. There are so many nuances in touch and position that you just aren't going to get by watching a YouTube tutorial etc. Once you have the basics, self practice will be enough to improve over time, so my advice would be to pay for beginner lessons. Electric violins are very good for keeping things quiet - ideally a solidbody or a frame body to really avoid any acoustic resonance. I don't have much privacy to play in my home, is there a way to not drive my family members crazy with the sound? To make things quiet try a practise mute. It's a huge mute that really deadens the sound. For when I'm traveling and practising in hotels I take an electric violin which is close to silent without amplification - in fact some manufacturers of electric violins (e.g. Yamaha) make silent violins for just this reason. Violin isn't the hardest instrument to play, but it can be one of the harder instruments to sound good on - to get a satisfying musical sound, you need to have good 'touch' and control with both hands. If you have a good musical ear and instinct for the instrument, and can dedicate plenty of time to learning, you could be playing simple tunes within days or even hours. On the other hand, if you are not such a 'natural' (or if you are expecting to sound like an experienced player in a short space of time), progress could seem frustratingly slow. Is there any way you could borrow an instrument to try out for a while? Failing that, buying second hand can work well - you may be able to sell the instrument without losing too much money if you don't get on with it. Traditional wooden bodied violins and cellos will always make noise as the body of the instrument amplifies the sound from the strings. To play very quietly, you'd probably need to use an electric instrument (and listen through headphones) - but these are not easy to find and might be a more risky purchase. Violin prices vary a lot; many cheap instruments come in a set with a bow, but you should check whether this is true for the one your are interested in. You will probably also want to budget for a case and a shoulder rest. Even if you can't afford lessons, it's always good to get a bit of help from an experienced player just to start you off, check that there's nothing wrong with the instrument you're considering purchasing, and so on. I've spoken only about violin as I've never played cello. However, from a purely personal point of view, I think the cello could be a more satisfying instrument to play solo due to its deeper register and richer sound. I strongly suggest picking up a Suzuki book and CD. The Suzuki Method is based of the idea that if children can hear words and imitate them, then they can hear music and imitate it. I learned violin on Suzuki, and while I was blessed enough to have a teacher, I think that if any method would work for learning without a teacher, it would be Suzuki. The CD has all the music in the book on it and you just listen and listen and listen and try to imitate the sounds in the book. I believe that some editions of book one have basic instructions on how to hold the instrument properly and put your fingers in the right spot. I can't promise success, but I strongly believe that if you must go without a teacher, Suzuki is the way to go. BTW, the violin is my personal favorite, because it's easy to tote wherever you go, but the cello is a beautiful instrument. Yes, I do believe violins are usually cheaper. With cello, however, you must learn base clef as well as treble clef, which is just one more thing to consider with the cello. Violin is probably a more likely choice for your situation. I think that there is a possibility you could hurt yourself playing the violin a lot without a teacher. I know if I play with a bad position, I get back/neck/arm pain and lately I've been having issues where I pull muscles in both arms and I think it's from an issue in my playing position. How you hold the violin is not an exact science and has to be adjusted for each person, but it's also incredibly difficult to figure out and most people spend basically their entire life still trying to find a way that works. And it changes over time as your body changes. I don't play cello, but talking to my friends that do it sounds like playing cello is a lot less painful than playing violin. One big problem while playing violin is that in order to hold the violin either entirely with your jaw (not really your chin, the side of your jaw) or balanced between your jaw and your left hand, you are likely to squeeze with your left shoulder. This causes tension in your arm which can lead to pain. I know it's sill possible to have issues with cello though, since a girl in my orchestra had to wear wrist braces for most of last semester and couldn't play. About buying a violin, I think it is very discouraging to play a cheap instrument because it will never really sound good. When I was in high school I got my first nicer violin for $2,000 and while it was quieter than most violins it allowed me to play much better than on my other one, which was originally $800 but was so badly made and warped we sold it for only $100 for parts. But if you just want to play for fun and don't care how you sound, then by all means go for a cheap violin/bow/case combo or something. Maybe get a friend who plays violin to play a few notes on it first so you can see how it sounds. 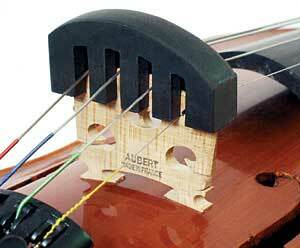 If you have a friend who plays violin that would really help you out. About the practice mute - I have one and I think it mutes to about the level of someone talking or singing softly. Once I was playing in the hallway with a practice mute on and my friend said she thought I was playing a recording on my phone. But it's good to have. Most people do not like listening to a beginner practice the violin but I hope you have some supportive people living with you. Maybe practice when they're out of the house. About lessons: my sister had violin lessons from age 4 to about 11 and while she no longer practices violin, she can pick it up and play things from ear if she feels like it. Since you would learn faster than a 4 year old you might be able to take lessons for like a year and then just learn music on your own. Not the answer you're looking for? Browse other questions tagged violin cello or ask your own question.